The program of the Polish Academy of Document in Kiev consists of film workshops for young artists, film screenings of The Art of the Document and open meetings with authors, as well as conference with Polish and Ukrainian documentary filmmakers. In the framework of The Art of the Document the following films will be shown: „Beats of freedom”, „Deklaracja nieśmiertelności” / „Declaration of immortality”, „Zabawki PRL” / „Toys”, „Dziobem i pazurem. Prawdziwe życie ptaków” / „Beak and claw. The real life of birds “, „Poste Restante”. 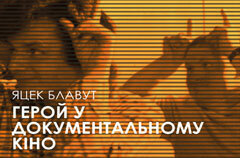 Final program of the Polish Academy of Document in Kiev will be announced soon.